Sometimes I just like to play. 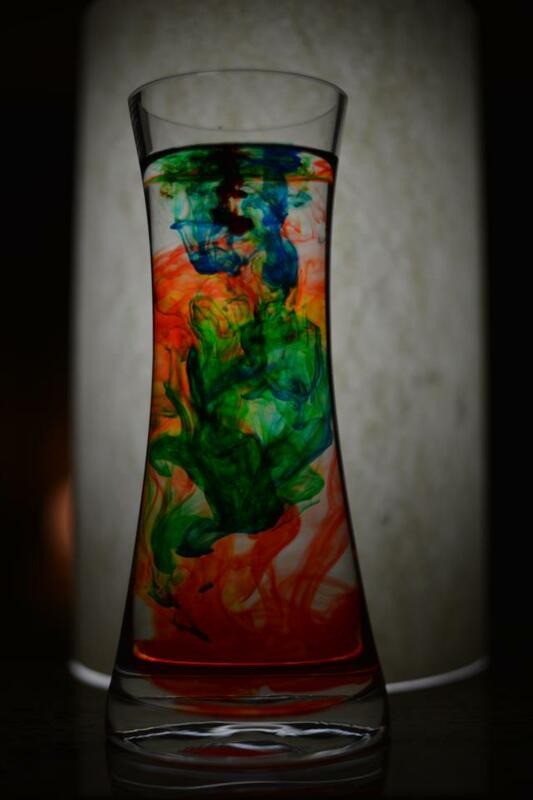 And what better way than to fill a vase with water and photograph food coloring? Even though it was really fun, it was more than just play – I wanted to capture some interesting backgrounds and shapes and investigate the time lapse options on my camera. The result of both taught me some great lessons I’ll use in other photography situations. If you try it yourself, be sure to try and catch the food coloring just above the water surface as in this shot. Like lightning, it’s a thrill to catch!